Suit For Dr Dre PRO. Ear Pad Cushion For Beats. Good vioce For Beats. We stand behind our products. BEST PRICING. For Monster Beats Dr. Dre Pro Detox Headphones. Special designed for Beats Pro / Detox. 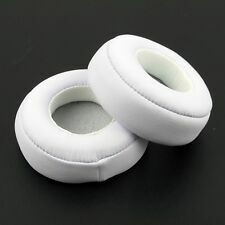 2pcs White Ear Pads Cushion Cover Replace for Monster Beats PRO/DETOX Headphone. 1 pair of white ear pads (The headphone is not included! ). Suit For Dr Dre PRO. Ear Pad Cushion For Beats. Good vioce For Beats. Compatible with Monster Beats by Dr. Dre Pro Detox Headphone. 2 Pairs of Ear Pads. - Durable and soft for comfortable listening. People always bought together with. Easy to mount and detach. Suitable for Beats Dr. Dre Pro Detox Headphones Earpads. Material: Sponge. High elasticity material provides you with comfort wearing experience headphone. Soft foam can manages the ability of blocking noise coming from outside. United States. Headphones pad, headphones are not included. be careful. Compatible with Monster Beats by Dr. Dre Pro Detox Headphone. 2 Pairs of Ear Pads. - Durable and soft for comfortable listening. - Easy to install. People always bought together with. Compatible with Monster Beats by Dr. Dre Pro Detox Headphone. 2 Pairs of Ear Pads. - Durable and soft for comfortable listening. - Easy to install. Sorry, no international shipping and immediate payment please. Item is in rough shape, but it works great. Needed new ear cushions and head pads. 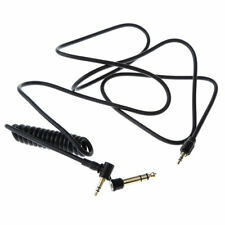 Included original Beats cable. Please views photos carefully as part of the description and these come as shown. SOLD AS IS! Buy at your own risk! No returns for these items! Thanks for browsing and happy bidding! Pull off the previous earpads. Simple to install, just remove the previous one and stick this one onto the headphone, then turn your Monster like the new one. Stick the new one to the headphone. Peel off the top layer on the new one.